Get Video Converter for Mac to convert videos. 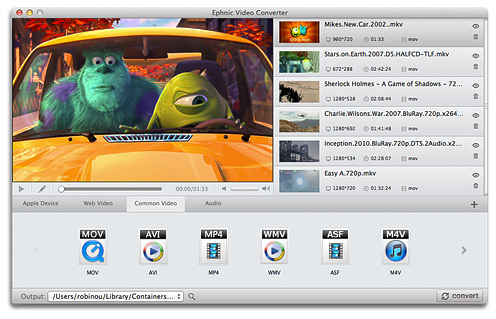 Ephnic Video Converter for Mac converts videos between all the popular media formats at high speed and quality. Share on YouTube and Facebook, watch on the go with iPad/iPhone, extract audio with ease. Drag-n-drop to add multiple video files easily. Support most popular input & output video formats. Trim your video files before starting conversion. Convert multiple video files at the same time. 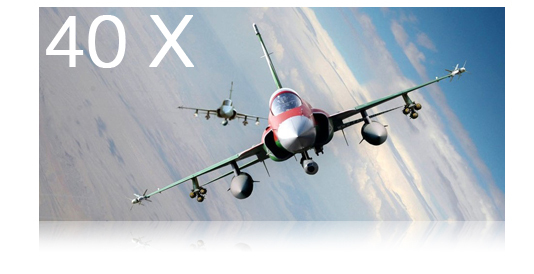 Fast conversion speed by using multi-core technology. Why choose Ephnic Video Converter for Mac? Ephnic Video Converter for Mac takes the guesswork out of converting video files. Quickly and easily convert 720p & 1080p HD video files between the most popular media formats for high quality playback on mobile devices, including the iPhone and iPad. Upload your videos to YouTube, and post to Facebook, for convenient one-stop sharing. You can also extract your favorite audio from video files. things you’d rather be doing. time and enjoy your videos! correct sizes and formats for iPhone, iPad, and other media players. 1. Drag your video file and drop it into this app. 3. Click the Convert button to begin converting your videos. pause and restart the converting process at your convenience. Show your videos to friends, family and share with the world. Optimize your videos to for watching with portable devices and for sharing on online websites. subtitle & one soundtrack to convert.